NI ROCKS – Hi Kobra, thanks for taking some time to answer a few questions for Rock Radio NI. I wanted to talk first of all about the track “Light Me Up” which we’re playing on the Show ahead of this. Can you tell me something about the inspiration behind the song and the video that has just been released? KOBRA – Yeah absolutely. This is a very special track and I’m sure if anyone has seen the video they’ll have seen that. It had a very pointed purpose for us and a very specific message. Music is always supposed to be enjoyed in the way that people chose to enjoy it and that’s what makes music beautiful, but in the video we’ve put a hotline awareness message out for people to reach out if they are struggling or if they know anybody who is struggling to reach out. That is ultimately what the song was written about. It was co-written by myself, Jasio Kulakowski and Johnny Karkazis who was actually the producer of our last record “High Priestess”. All three of us have our own individual experiences and thoughts around depression and very personal ties to people who are either struggling or have lost the battle and aren’t with us anymore. So the words and the music came together in this rock ballad and that’s how we got “Light Me Up”. It’s supposed to bring people hope. I think for a lot of people music is their only companion sometimes when they feel they have no one else. That was the general purpose in that song. I don’t think it should be enjoyed as something dark, it should be enjoyed as something that hopefully lifts someone rather than brings them down. NI ROCKS – The latest album “Prevail I” was released in May via Napalm Records. Where and when was the album recorded and who did you work with? KOBRA – This album was recorded and mostly written organically in Denmark. In Ribe, with Jacob Hansen who is a Danish producer. (The same studio in which fellow Canadians and label-mates Unleash The Archers recorded their latest album - http://www.rockradioni.co.uk/interviews/3153-ni-rocks-interview-with-brittney-slayes-from-unleash-the-archers.html ) It was very different because we relocated over there for several months and really did the crazy organic process, off the floor in the studio, making the songs; and I think it makes the album sound different because of the process. NI ROCKS – The band had initially launched a pledge campaign for a double album in early 2016. How did signing with Napalm impact upon the initial plans? KOBRA – Napalm was an unbelievable partner for this album. Really we were signing up for a double album, which is double the work. We were going to release it all at once, but they were the ones who suggested that we release it as two releases, which was even more work for them. But they were fully onboard with it and the albums were finished when we brought it to them. Now we’ve released “Prevail I” as you know and “Prevail II” is coming down the track very soon. It is already completed. Both albums were written at the same time; even the track order wasn’t decided until the end. NI ROCKS – When did writing for Prevail begin and was there a typical process by which the tracks would come together or did each come together differently? KOBRA – They came together first musically and then lyrically. Sometimes that didn’t happen in the past. We brought a few tracks into the studio that were pretty much done, like “Light Me Up” and “Prevail” for instance, The rest of the album, 70% I would say, was not written yet and we wanted to figure out how we were going to freshen up our sound really. We were still searching for that uniqueness that we hadn’t discovered yet. So we had the same writing process for those songs – we were all in the studio collaborating. The main collaborators were myself, Jasio, Jacob Hansen, a Danish songwriter called Martin Pagaard Wolff and another guitarist who’s with Iced Earth now, Jake Dreyer. We just sat there and worked on music. “You Don’t Know” was the first one that came together and that was kinda setting the precedent for how we wanted to integrate a more modern touch into our music. NI ROCKS – The previous studio album had been “High Priestess” in 2013. How do you think the band’s sound has developed over the intervening period? KOBRA – I think specifically that the band has become more unique and more open to not just being traditional metal sounding. “High Priestess” is a very straight-up heavy metal record. I love the crap out of it and I think it was exactly how it should have been, but we were still struggling really to find a place for how we fit into our generation. We get referred to (laughs) as New Wave of British Heavy Metal quite often and that’s fine but also want to be our own thing; which we were still trying to figure out. NI ROCKS – The band played Dublin last year with Delain and your first Belfast gig will be this November. Did you get a chance to see much of Dublin and are you looking forward to your first trip to Belfast? KOBRA – I’ve been to Dublin quite a few times because one of my best friends was at university there and I would go over and see her after our tours. I just love it and love Ireland very much. I lived there for a couple of years when I was a very little girl, just outside of Cork. I find the people very warm and I love to see the younger generation playing folk music and everybody is just there enjoying it together in the pubs. I think that is really cool; it’s not part of North America really and I think it’s very special. I’m so excited – we’ve two dates and I’ve never been to Belfast and I think that will be great as well. NI ROCKS – At this point we’ll play another track from “Prevail I”. Do you want to pick a track and tell us something about it? KOBRA – Let’s play “Triggerpulse”. I think this song was probably the first hybrid of ourselves - what we’d done before with the new sound that we were trying to incorporate. It doesn’t sound like the past Kobra and the Lotus but it’s still heavy. NI ROCKS – As we said “Prevail I” was released in May. You’ve kinda answered this, but has “Prevail II” been fully recorded yet and do you have a timescale for its release? KOBRA – We haven’t discussed it yet with Napalm to be honest, but I’m presuming it’s going to be early 2018. It’s not going to happen this year; just by the way that “Prevail I” has rolled out. I think people are still finding this first album, so we need to let it breathe a little bit more. The new album is fully recorded and we have all the photos and videos that we need as well all done by this point. We did the music videos for “Prevail II” actually last week in Serbia, all in a row (laughs); so we’re done, the album is ready to be put together artistically now. NI ROCKS - Might we start to see tracks from it being released ahead of the album coming out? KOBRA – I’m assuming so, that seems to be the way Napalm like to work. So I’m guessing in the Fall we’re going to release a single off of that album. NI ROCKS – You’ve mentioned that all the tracks were written at more or less the same time. Was there any specific thought behind what tracks would be on “Prevail I” rather than “II”? 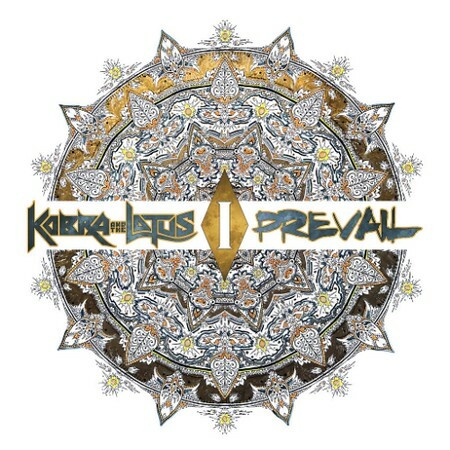 KOBRA – Yeah, the thing that really determined which tracks were going to be on “Prevail I” was “Gotham”, “Triggerpulse” and “You Don’t Know” had been chosen by us. “Triggerpulse” we chose to be the first single for the double album. Then “Gotham” suited that song, so they had to be with each other on the same album. Napalm had picked “You Don’t Know” and “Light Me Up” as their singles. Then it just kinda intuitively came into place as because certain songs do not fit with each other and if we have something more traditional like “Hell On Earth”, we did not want to put the other more traditional heavy metal song beside it. So that one is going to be on the new album. There are some songs that are in the same vein and we wanted to keep a healthy balance. So the next album has the same balance of heavy metal and hard rock, but completely different songs. NI ROCKS – Going back a couple of years, in 2015 the band released the EP “Words of the Prophets” which featured covers of 5 tracks by Canadian artists. How easy was it narrowing the list down to 5 tracks and was there a personal favourite for you? KOBRA – It was really tough, there is so much music in Canada. In general, these were songs that when I put the list out to the guys; because everyone was doing their own thing and usually I have to...it’s like getting kittens into a box. I had to make it easy to choose from so I gave them a list of about 30 songs that I thought we probably all grew up with, and there was a general consensus on which songs. I picked “Black Velvet”; the other ones were either picked by several of us or all four of us. That’s kinda how it went and not one of us doesn’t know those songs. For me, my favourite was probably Rush (“The Spirit of Radio”) to be honest, and we played that a few times in England when the EP was released. It was so funny to play such a virtuous song because the tempos are just crazy; there are seven changes I think in that song, but it’s very easy for the vocalist, you just have to jump in and sing when you have to sing. It’s the instruments that really have to navigate their way through it. NI ROCKS – That EP was released after you’d been diagnosed with Lyme Disease. You obviously had to deal with that on a personal level, first and foremost. On a professional level however, it must have been immensely frustrating as well, coming on the back of tours with Kiss and Def Leppard as well as the Metal All Stars? KOBRA – It was really difficult and even more tough to pull the band off the road after those tours. It scared the crap out of me. You probably know as well as anyone, that when you pull something upcoming out of its momentum it can be forgotten very quickly. We’re not a radio genre exactly, so we’re vulnerable that way. That was very stressful. I did have a relapse when I was in the studio recording “Prevail I” and “II” so I think some of the agony made it into the music, because I was really struggling physically when we were recording. Even my voice was fatigued more often, so we’d do some recording for two hours and then I’d have to just lay on the floor and I’d be asleep in half a second, like in the air, when I lay down. It was so strange, but I’ve come out the other side now. After the recording was done I went straight into a clinic in the States and we aggressively treated it for six weeks. I have recovered – it’s taken about eight months, but I feel amazing now and I’m glad that it happened. Things always unfold as they do for really strange reasons. I think some of the music is how it is because of how much I was struggling. NI ROCKS – I’m glad you’re over it. We’ll play another track from “Prevail I” now. Again, would you like to pick one and tell us something about it? KOBRA – Ok. Is this a heavy metal end of rock radio? NI ROCKS – Anything at all. KOBRA – (Laughs) Awesome. Let’s play “Hell on Earth” because we haven’t had anything like that yet. This song is about self victimisation and how easy it can be to fall into that hole and start self diagnosing and finding a way not to function in live anymore. By choice, not by something else out of your control. So “Hell on Earth”, creating your own hell. NI ROCKS – The band has a pretty hectic tour schedule for the rest of the year, with gigs in Europe during August, North America from the end of September through October (the N America tour was later cancelled unfortunately) and then back to Europe in November and December. You only have a few weeks off – is that rest time or what are you going to be up to? KOBRA – The guys are going to be heading back home. Brad has a little girl and it’s very important for me as I’m doing the scheduling with our manager, to make sure that he always sees his little girl in the in-between periods. I’m going to the Netherlands to watch the Ayreon shows because my significant other (singer Tommy Karevik from Kamelot & Ayreon) is also performing and I’m really excited to see everyone sing and do their thing – I think it is going to be awesome. That’s probably about it. I’ll probably be doing some preparation for the artwork for “Prevail II”. NI ROCKS – Any specific highlights for you from those shows coming up for the rest of this year? There are quite a few of them. KOBRA – Oh man, I feel so excited about everything that is coming up. First of all we’re going to play these shows in five days with Steve Harris’s band British Lions and I think that is going to be such a blast. We get to play some of our heavy metal with their heavy metal and I’m really looking forward to that. Then the tour again then with Xandria in the States is going to be so much fun. Our last tour was probably our most successful tour to date for us a band individually. It was so exciting as it lifted the morale of the band. We were starting to see, actually for the first time in almost nine years, some of our hard work starting to pay off with people coming to the shows and everything in general. Xandria are an awesome band so we’re looking forward to sharing a bus and being on the road with them. (Unfortunately this tour was cancelled and will be rescheduled.) Then we go back to Europe after that. We have some more places that we haven’t announced yet that we haven’t been to before – those are coming down the pipeline. Of course we’re coming to the UK and everyone is excited about that. It’s like a charging tour for us because of everyone’s spirit at the shows. NI ROCKS – I have my ticket bought already. KOBRA – Wonderful, everyone is super excited about Ireland. Everyone loves to come to Ireland. We all really enjoyed it, every single person in the band really loved being in Dublin. It’s going to be great. Then finishing with Beyond The Black again in Germany and I think that will be a very compatible tour. I’ve already talked to some of the people in the band and they seem like a really group of people as well. I have a really good feeling about that tour. It’s a good year. Looking forward to being busy. NI ROCKS – You’ve performed onstage and toured with the Metal All Stars and also with Kamelot . Have you appeared as a guest vocalist on any other band’s albums and is that something you’d like to do? KOBRA – Oh, I would love to. I haven’t actually appeared on too many other albums. I did do a little guest spot with a band out of LA called Heaven Below (Patrick Kennison’s band) and other than that not much. I don’t think I’m quite on people’s radar yet. NI ROCKS – Well you should be! KOBRA – (Laughs) Thank-you. I love to collaborate with creative minds and make good music together. I really hope that that happens in the future. I’d be really open to that. NI ROCKS – “Prevail II” is obviously recorded but have you ever given any thought to having some guests on future albums? KOBRA – Yes, I certainly have. I think the next album after “Prevail II” would be a really good opportunity for a vocal guest specifically. We’ll see, but that’s a couple of years away at least (laughs). NI ROCKS - Anyone in particular that you’d like to collaborate with? On your own album or someone else’s album. KOBRA – Yes, I would really like to collaborate with Devin Townsend. I think that would be fun. It would also be cool to have Tom from Evergrey. I really enjoyed that tour with them and found a great appreciation for their music. I also keep getting bothered about having Tommy because he is an exceptional singer – we sing together and we are together. That might be an interesting collaboration to do on our album if it’s allowed (laughs). NI ROCKS – We did an interview by e-mail back in January 2013 and covered a lot of your background then. So, I wanted to look forward. What is 2018 going to look like for Kobra and the Lotus and what would you hope to have achieved by the end of that year? KOBRA – You know what, by the end of 2018 my goal is that we have set ourselves up to tour 2019 as a headliner in 200 to 500 capacity venues where we can play our shows and have the length of set that we really want to play for people. And I really hope that we will have lights. Those are really my goals and I think that for us to have that as a band. We talk about it – these are the little things, but they’re so big to us. We don’t have a light engineer and we would just love to have that because until now it’s our music that has had to prove everything; and that’s really important, it says something if a band can prove everything without any production. (Laughs) It would be really nice. Sometimes we’re playing shows and there is no-one changing the lights. There you go – 2019 Kobra and the Lotus headlining tour – that goes for the US, Canada, the UK, which we are doing this time, and Europe as well. NI ROCKS – Final question and it’s about your tattoos. When did you get the first one, which is the most recent and are there specific meanings behind them all? KOBRA – My first one, I was 17 years old and it was the eagle that is on my lower back. It’s funny, because I love the tattoo because it symbolises me, I guess, being an independent woman; that is what it meant to me at that time in my live, breaking free from my parents and going off to try and do my own thing. But it is not something that I would ever have tattooed on that place on my body at that age, right now (laughs). It’s ironic, it’s actually the only tattoo on my body that I also try to always cover; because I feel really self-conscious when my shirt flips up and people see that I have a tattoo on my lower back (laughs). Otherwise, the rest of them, they’ve just come over the last ten years. I knew what I wanted done and found the artists. Every tattoo that I have on my arm felt like it was there already. I have the earth, the sky and the universe all on my arm. And I also have a prayer for the world in a Native American language; that’s because I’m not religious, but I am very spiritual. I think everything is connected. And I have a dream-catcher because I grew up with those hanging all over my bed and around me. My parents would hang them up to trick me into thinking that they would take all my nightmares away, and it really worked. So it’s a protective symbol that means something. Then I have the typical tattoos that I’ve seen several artists have – where it says ‘believe’ and ‘surrender’ and all those thoughts that help keep me strong. NI ROCKS – We’ll finish off by playing another track from the new album. I’ll let you decide which and tell us something about it. KOBRA – What’s your favourite track off the abum? NI ROCKS – It’s actually “Light Me Up”, but “Manifest Destiny” I like too and “Triggerpulse” and “Gotham”. KOBRA – Let’s play “Manifest Destiny” because that’s one that I find people are perplexed by at first and then it grows on them. It’s kinda different from the other ones on the album. NI ROCKS – We’ll play that. Thanks Kobra for taking the time to talk to us. KOBRA – Thanks for having me.